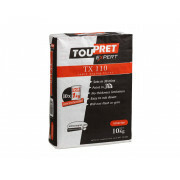 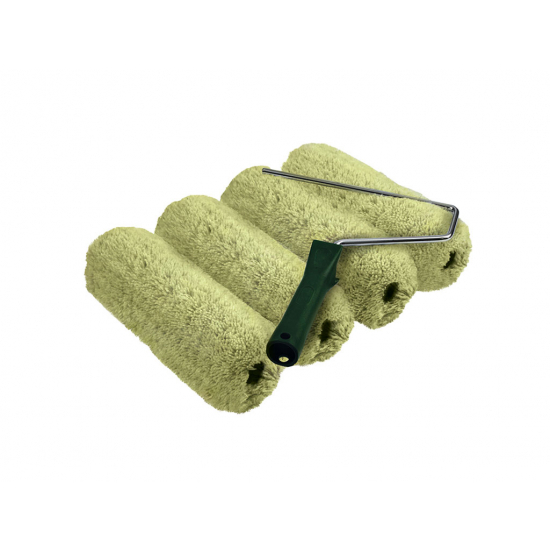 Masonry padded roller set with long pile padded rollers and one stick frame for painting rough exterior surfaces. 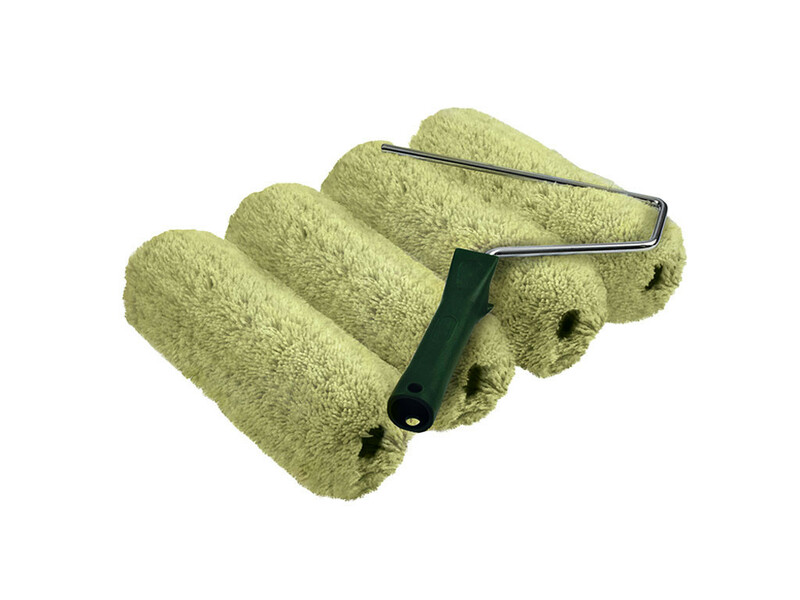 Masonry padded roller set with long pile padded rollers and one stick frame for painting rough exterior surfaces. 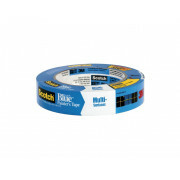 Long pile (18mm) acrylic fabric rollers pile with padded cores for painting semi-rough to rough surfaces. 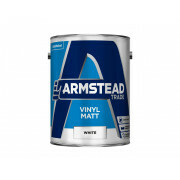 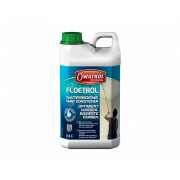 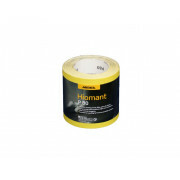 Long lasting construction, ideal for applying water based paints, masonry, emulsion, primers and sealers. 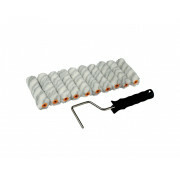 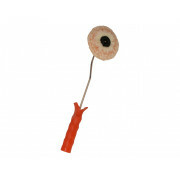 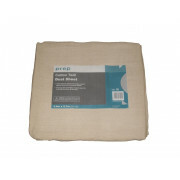 Padded roller sleeves are only compatible with the 10 Inch stick roller frames. 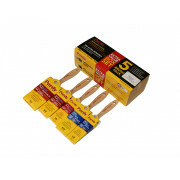 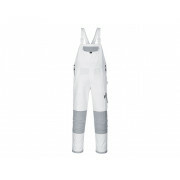 Set contains 4 x 250mm (10") long pile padded sleeves and 1 x Stick Roller Frame 10 Inch.